When would we use the use case diagram to plan out and when would you use flowcharts? Flowcharts are often used for documentation purposes because many different people use that documentation and flowcharts are easier to follow than pseudo code for non programmers. Easy to draw and analyze. Widely used for various purposes. Use case diagram is a sub class of behavioral diagrams which shows how a system interacts with the external entities. So, it is relatively sparse about the details of how the system behaves internally and how the external environment is configured. Indeed, use case diagram shows what we want the system to do rather than describe how it can be accomplished. One of the major benefits of this diagram is communication. Once a process flow is sketched out, the individual steps in a process flow usually are good candidates for further elaboration of details with Use Cases. Process flowchart is commonly used by the product manager, designer, or people who need to talk about how the business works. 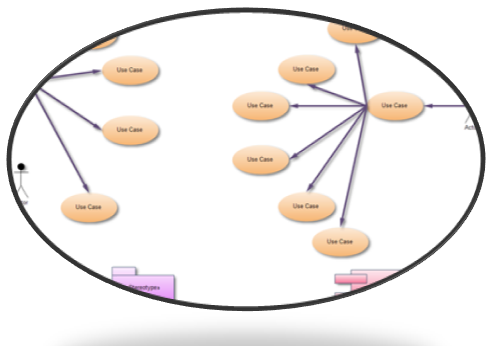 The use case diagram is extensively used by the product manager and development engineer. Flowcharts and use case diagram often have the same level of expressiveness, but differ in linearization. Flowcharts are a higher abstraction level, used before writing use case or for documentation. Typically, Use Cases are related to the interactions between people and systems. A process flowchart will usually be a graphical representation of how a business object like an order will flow through various business rules and system states. For a really complicated problem, you would use flowcharts first, then use case diagram. 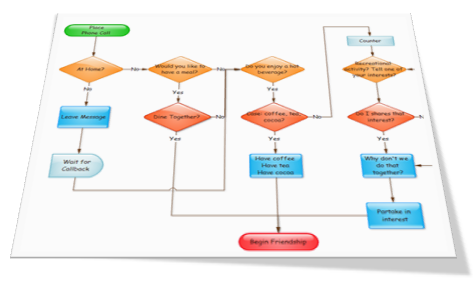 A good flowchart tool will save you lots of time. Edraw Max can draw both flowcharts and use case diagrams. You needn't concern about the drawing skill, but only understand the whole process flowchart.